Key Difference: Nokia has recently announced a new phone to its line-up; the Lumia 928. The phone comes with a 4.5-inch AMOLED capacitive screen with broad back bezel. The phone is quite bulky and heavy, compared to other newer smartphones that are focusing on getting thinner and lighter. The HTC Butterfly is a high-end phone by the HTC Corporation. The HTC Butterfly is sold in four variants: Droid DNA; J Butterfly HTL21; Butterfly X920d; and Butterfly X920e. They are all powered on a Quad-core 1.5 GHz Krait processor. 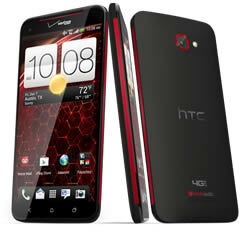 The HTC Droid has the Quadcomm MDM615m, while the Butterfly variants have the Qualcomm APQ8064 chipset. They all have 2 GB of RAM. 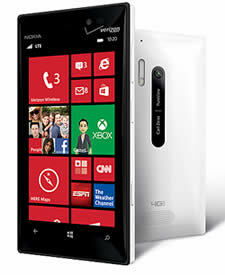 Nokia has recently announced a new phone to its line-up; the Lumia 928. This phone is considered as the flagship phone for Verizon (a US telecommunications company) but it is also available in an unlocked version. In terms of hardware, the phone is very similar to Nokia’s flagship 920 but has added on extra features and tweaks that can go either way. Although, the phone has been modified, there are no revisions to the Windows Phone 8. The Nokia Lumia 928 does not share the physical characteristics of the 920. It is in a bar from that has a slight bulge on the back that makes the phone comfortable to hold. Another small curve can be found on the bottom on which speaker grille is strategically placed that keeps volume from getting muffled when placed flat on the back. The phone comes with a 4.5-inch AMOLED capacitive screen with broad back bezel. The phone is quite bulky and heavy, compared to other newer smartphones that are focusing on getting thinner and lighter. The Nokia phones are known for the bright interactive colors, which are no longer an option in this model. The phone is available only in two options: matte black and glossy white. This is believed to be because it is a Verizon exclusive phone. The phone comes with the basic structure of the Nokia phones with the volume rocker, power button and a dedicated camera key on the right edge. The power button is very similar to volume rocker only slightly smaller, making it difficult to find it without looking. The volume rocker is also a little to access and hit during mid-call. The left side of the device is bare, while the top hosts a center-mounted Micro USB port, a pull-out SIM tray and a 3.5mm jack. The back stands out with a bigger Xenon flash and the camera with Carl Zeiss lens. The phone comes with a 4.5-inch AMOLED capacitive touchscreen with ~334 ppi pixel density and boasts excellent sunlight readability. The AMOLED screen is better for side viewing angles and sunlight visibility. The phone does have excellent resolution and the images are sharp, crisp and clear. The screen can also be configured for ‘high touch sensitivity’ known as ‘glove mode’. The phone also has amazing speakers but almost all reviewers said that when talking on the phone, the voice on the other end sounded hollow and unrealistic. The loud speaker also lacks bass and depth. However, the noise cancellation on the phone works exceptionally. The phone is powered by 1.5 GHz Krait Dual-core Qualcomm MSM8960 Snapdragon processor, making it fast. The phone does not lag or even slow down. As it is a windows phone obviously it is powered by the Windows Phone 8 OS. The Android vs. Windows Phone debate is always the same. Though, the OS is great, Android does have more apps to offer and is also more customizable. The phones offers 1 GB RAM and has 32 GB internal memory. For users looking to add more than 32GB of data will run out of luck, as it does not offer adding extra memory. The device houses an 8.7 MP PureView rear camera and a 1.2 MP front camera. The rear camera comes with the Carl Zeiss optics for sharper images. It also comes with the typical autofocus, image stabilization, flash etc. However, Nokia does proud itself for its low-light image technology and rightfully so. The low-light images are quite sharp and does not blur. In addition to that, the company also offers xenon flash that is bright and powerful. The xenon flash can only be used as flash and cannot be left lit, so the company has also added a secondary flash for videos and flashlight purposes. The camera does have slow shutter speed, which requires people to hold the camera still for long periods of time to avoid motion blur. The device houses a non-removable Li-Ion 2000 mAh battery (BV 4-NW) that boasts good power. The Verge could run the battery for approximately 27 hours, while Tech Hive got only 6.5 hours out of it. The power of the battery depends on running applications, usage and many other different factors. In all, the phone is okay but does not come close to its 920 cousin. The HTC Butterfly is a high-end phone by the HTC Corporation. The phone has been quite popular all over the world; however, most people don’t know exactly how popular the phone has actually been. This is mainly because not many people know that the HTC Butterfly and HTC Droid DNA is actually pretty much the same phone, with only a few differences. The differences are only there to make the phone more regional specific. The HTC Butterfly is sold in four variants: Droid DNA in the United States on the Verizob Network; J Butterfly HTL21 in Japan on KDDI's au network; Butterfly X920d in Taiwan, South East Asia and India; and Butterfly X920e in China and Russia. All the variants have most of the same features. They are all powered on a Quad-core 1.5 GHz Krait processor. The HTC Droid has the Quadcomm MDM615m, while the Butterfly variants have the Qualcomm APQ8064 chipset. They all have 2 GB of RAM and Adreno 320 graphics processor. They all have an 8 MP primary camera and a 2.1 MP secondary front facing camera. The display is a 5 inch Super LCD3 capacitive touchscreen with Corning Gorilla Glass 2. At the time of the launch the phone was the second phone in the market to feature a 1080p display. The phone has Android version 4.1, but is upgradable to Android 4.2. The HTC Droid DNA differs from the other variants, in that it supports wireless charging, but lacks a MicroSD slot. The Droid DNA and the J Butterfly both support CDMA and LTE connections, as well as UMTS. However, only the Droid DNA comes with quad band UMTS radio. The X920d and X920e, on the other hand, do not even have LTE support. There are also some subtle differences regarding color accents, buttons and logo placement. However, these are minor and so not affect the phones. The information for the detailed table about the two phones has been taken from the Nokia website, theverge.com, HTC website, guardian.co.uk and GSMArena.com. GPRS, EDGE, WLAN, Bluetooth, Wi-Fi, NFC, USB. GPRS, EDGE, WLAN, Bluetooth, USB, NFC (Market dependent). [email protected], video stabilization, stereo sound rec.